This week Resident Evil Versus Mode is our deal of the week. Normally 400 points, Gold Members can the content for 240 Points this week only. 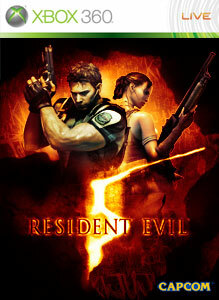 "VERSUS is a new mode available for Resident Evil 5. Take control of Chris, Sheva and other RE5 favorites in online battles of up to 4 players! Compete for points by defeating Majini in SLAYERS or take down other players in SURVIVORS. Fight alone or in a team for a total of 4 exciting variations!" "Panzer General is back with an all-new turn-based strategy game in Panzer General: Allied Assault! For the first time on Xbox LIVE® Arcade, recreate actual battles during the last phase of World War II and experience the dramatic events of D-Day as they unfold in your hands. Build, customize, and fight with your personalized deck of 60 cards. Play with a friend in multiplayer mode, gain access to special units and cards, and become a Panzer General." "Get the full version and discover all 6 massive game modes of this addictive smash-hit! The action-puzzle phenomenon is played by millions on the web, but Xbox Live players get the full HD experience with revolutionary social scoring, avatar support, power ups, and even multiplayer. 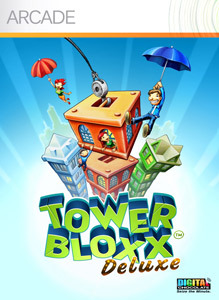 Get ready for edge of your seat action that'll have you creating swaying, tipping and tumbling towers sky-high. "